Kilauea’s historically huge 2018 eruption didn’t just transform the southeastern corner of Hawaii’s Big Island. Most of the lava wound up spilling into the ocean, creating an enormous new undersea delta that hardy ocean microbes are already colonising. That finding, along with the broader exploratory campaign that made it possible, might inform the search for life on an icy moon of Saturn. That’s according to Woods Hole Oceanographic Institution (WHOI) geochemist scientist Chris German, who presented the unpublished findings along with WHOI volcanologist Adam Soule at the American Geophysical Union conference earlier this month. These scientists had a rare opportunity to map and explore Hawaii’s southeastern coastline in late August and early September—shortly after Kilauea’s eruption had ceased—using the research vessel E/V Nautilus and the remotely operated vehicle Hercules. The reason the research vessel was in the neighbourhood? 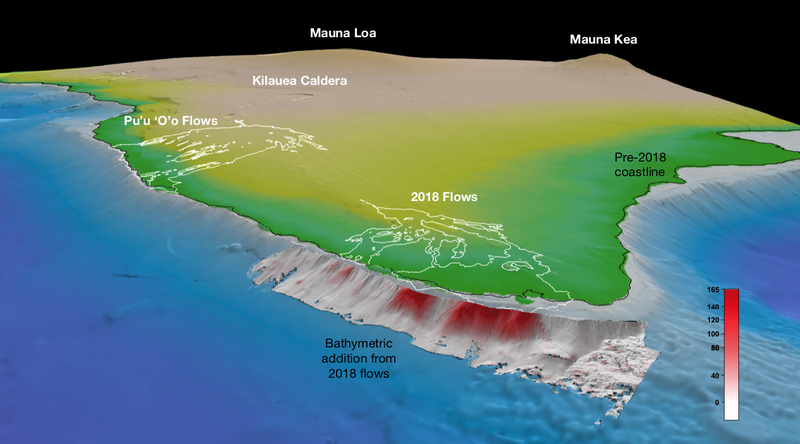 To study the Lō`ihi seamount, an undersea volcano just south of the Big Island that, according to German, is one of Earth’s best comparisons to potential hydrothermal systems on the seafloor of Enceladus, an ice-crusted moon in Saturn’s E-ring with a liquid water ocean beneath its surface. As German explained to Gizmodo, most of the hydrothermal systems humans have studied so far occur at mid-ocean ridges, where tectonic plates are spreading apart and causing hot magma from the mantle to burble up near the surface. The mineral-rich fluids spewing out of these so-called black smokers can get as hot as 400 degrees Celsius, which German says is far hotter than any hydrothermal system we’re likely to find on Enceladus. The depth of many black smokers means that life around them is subjected to crushing pressures that alien microbes on a gravitationally puny moon would have no experience with, either. Lō`ihi is different. A “hotspot” volcano in the middle of the Pacific tectonic plate, it emits cooler hydrothermal fluids at shallower depths (and therefore lower pressures). It’s an environment not unlike something we could imagine existing on a wee ocean world orbiting Saturn. German, along with Darlene Lim at the NASA Ames Research Center and others, recently received funding from NASA and the National Oceanic Atmospheric Administration (NOAA) to pursue that idea as part of a new astrobiology research program called SUBSEA. In August, the researchers shipped off for a multi-week expedition to map the seamount, collect geochemical and microbiological samples, and test space exploration protocols. But they wound up getting a little extra bang for their buck when German and Soule realised the mission’s timing—right as Kilauea was erupting—offered a rare opportunity to see how another ocean environment was being transformed by a different volcano. Soule worked with NOAA and the National Science Foundation to acquire funding to divert E/V Nautilus from Lō`ihi for a day to scope out the seafloor along Kilauea’s south flank, including the lava’s 3-mile-wide ocean entry site. Using E/V Nautilus’ sonar system, the researchers first set about mapping the seafloor. They discovered a gigantic pile of freshly cooled lava that stretched some 1.5 kilometres offshore and sloped steeply down to a depth of about 1,000 meters. Comparing this new information with maps produced in 2006, the researchers estimate that nearly 800 million cubic meters of lava—two thirds of what erupted—wound up offshore. “Just seeing where [the lava] was and how much of it there was was a huge benefit for understanding the eruption,” Soule told Gizmodo. 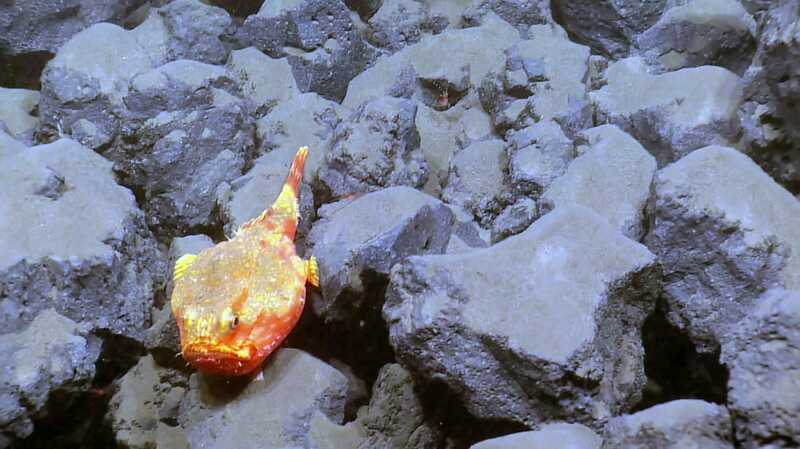 A few weeks later, on 11 September, after the researchers had already completed nine dives on Lō`ihi with the ROV Hercules, they decided to send the robotic probe over to the new lava delta for a closer look. 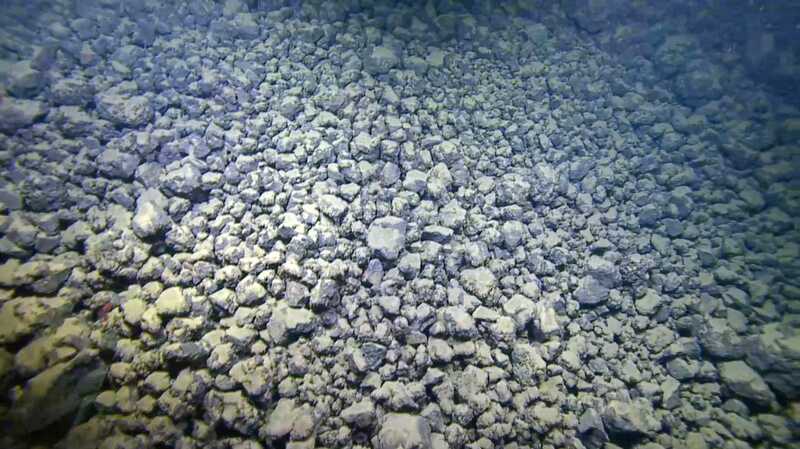 To the team’s surprise, on a lava flow at a depth of about 650 metres, they discovered gooey, bright yellow mats. Some kind of microbial growth had already up taken up residence on the lava flows, apparently drawn to hydrothermal fluids escaping the fresh rock. Samples of those bugs are still being analysed in the lab, but German said it wouldn’t be entirely surprising if whatever colonised the area there is at least related to the bright yellow microbes found around Lō`ihi, whose colours indicate they use iron or sulphur as an energy source. German stressed that it’s the Lō`ihi seamount that’s the more relevant environment for imagining life on Enceladus. But it’s interesting to think that whatever lives there might have quickly set up shop on Kilauea’s new digs. And if further analysis demonstrates that to be the case, it could be relevant to future planetary exploration missions. Warning that he was veering into the realm of speculation, German wondered if the bugs that thrive in Lō`ihi’s hydrothermal fluids are sloshing around the ocean at low levels, allowing some colonisers to easily latch on to fresh real estate around Kilauea as soon as it became available. “If that can happen [on Earth], maybe I don’t have to worry about how to build a robot that can dive,” to Enceladus’ seafloor, German said. “Maybe I can just probe the water near the surface” for life. Bill Chadwick, a marine geologist at Oregon State University who wasn’t involved with the new research, called the seafloor mapping endeavour “very cool,” noting that this is probably one of the first times a land-based volcano’s undersea lava deposits had been explored so soon after an eruption. 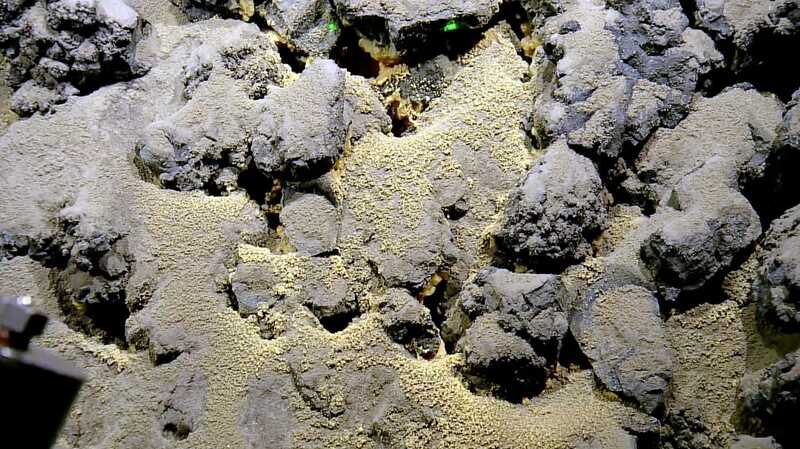 He wasn’t surprised to learn that microbes had already begun colonising the environment, noting that this has been observed “many times” at Axial Seamount off the coast of Oregon. Clearly, much more research is needed to understand the critters living around Hawaii’s hydrothermal systems, to say nothing of whether there’s life on Enceladus. Both German and Soule expressed interest in going back to Kilauea’s lava delta again, perhaps as soon as next year, to see how the environment is changing over time.